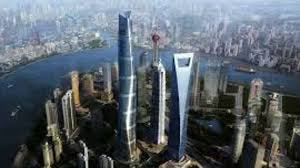 Shanghai Tower owner champions BIM for design and construction of one of the world’s tallest (and greenest) buildings. Shanghai skyline is currently the second tallest building in the world and symbol of city’s financial district in China. The development is characterised by two landmark towers with two other iconic structures: Jinmao tower and Shanghai World Financial Center. The 121-storey transparent glass tower twist and taper as its rises, convey feeling of movement and growth. The massive mixed use facility will include commercial, shopping mall, entertainment and cultural venues, luxury hotel and office building, which are obtain active and modern life Shanghai style. Shanghai Tower with 632-meters area will be the largest skyscraper in China. The towering skyscraper comprises nine cylindrical buildings stacked on top of one another, all enclosed by a circular inner curtain wall and a triangular facade enveloping the entire structure. Each vertical neighborhood has its own atrium, featuring a public sky garden, together with cafes, restaurants, and retail space. The double-skinned facade creates a thermal buffer zone to minimize heat gain, and the spiraling nature of the outer facade maximizes day lighting and views while reducing wind loads and conserving construction materials. The facility can utilize its own wind farm and geothermal system to save energy. Rainwater recovery and gray water recycling systems also reduce water usage. 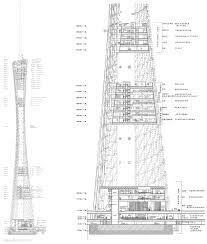 The Shanghai Tower is a scalable and massive project with various complex engineering structures and involve with many participants in other countries in the world. If project’s team try to work in a traditional ways, using traditional tools and delivery system, it would be difficult to carry out this project successfully. Therefore, Investor and Project Manager decide to integrate new technology process – Building Information Modeling into whole project life circle. The extended architectural and structural teams— with designers in offices around the world—shared their design models, enabling them to collaborate and contribute insights about the design in the context of the project. In the construction phase, the local project team, working from temporary offices near the construction site, routinely shared its models for project coordination and collaboration. This communication of design data resulted in a natural coordination of the project as it unfolded. In addition, the team used both Revit and Navisworks Manage software for formal clash detection. The project team used the Revit platform for early coordination of the major design disciplines. In the construction phase, the team is combining the Revit design models and the fabrication models in Navisworks for whole project coordination. 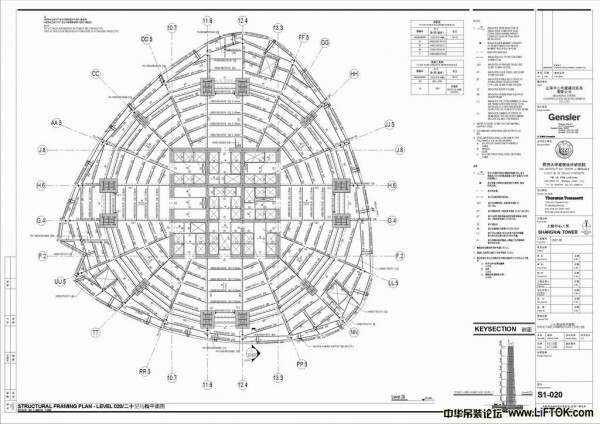 “As construction proceeds, BIM is helping us coordinate the subcontractors’ fabrication models, leading to a better quality design and the avoidance of rework costs,” says Chen. “For example, the tower’s basement has already been built, and comprises five stories and 170,000 square meters of space,” says Gu. “During design development, we found only seven clashes. During construction, there were no clashes at all. It would be very difficult if not impossible to get results like that without BIM.” Conserving More Energy A central and attractive feature of the tower’s design is its transparent skin, which creates ventilated atriums that naturally conserve energy by moderating the atrium’s air temperature. “Green building and sustainable design were a common goal for the designers, as well as the property owner,” says Xia. “Model-based design was essential, as many aspects of our performance-based design were realized through simulations and analyses,” adds Peng. For example, during the design phase the project team used the Revit Architecture model for whole-building energy analysis, giving the designers quantitative feedback on building energy performance. “We shared this information with our owners and consultants to better inform our design decisions and trade-offs,” says Peng. Saving Building Materials The building shape itself will produce the largest energy savings in the form of an efficient, costeffective structural frame. “Using Revit Structure, we produced more than 20 design options before settling on a structural system of super-columns, with outrigger trusses supported by an inner concrete tower,” says Zhu. The team kept iterating the design, including the rotation angle of the building’s cam-shaped outer skin, to analyze the structure’s resistance to wind and seismic loads. The result was well worth the effort. Gensler estimates that the building uses 32 percent less material than a conventional tower— saving material costs as well as the energy required to manufacture more steel and concrete.